This is the perfect activity for excited kids before Thanksgiving! There are 6 Thanksgiving themed hidden pictures. 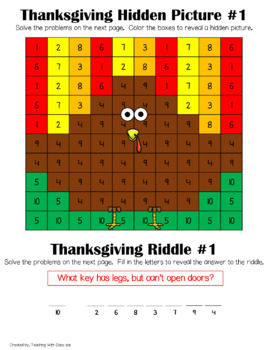 They also each have a Thanksgiving riddle that can be solved. 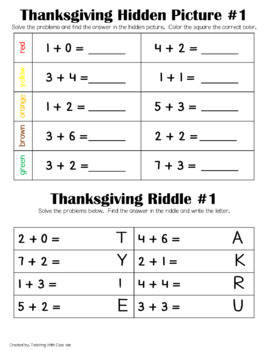 This can be used for centers, early finishers, Thanksgiving break practice, or as an assessment of addition to 10 fact fluency.